We are proud to announce our 2019 Regional Schedule! Check back for more information regarding registration dates and venues! View our 2018 winners here! 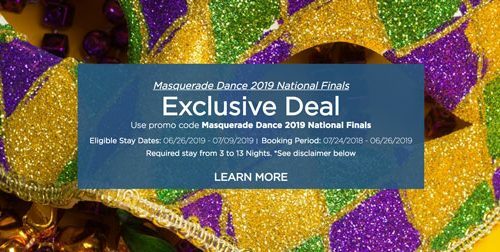 Masquerade has partnered with Wyndham Vacation rentals to offer you an exclusive offer. Click here to book now!